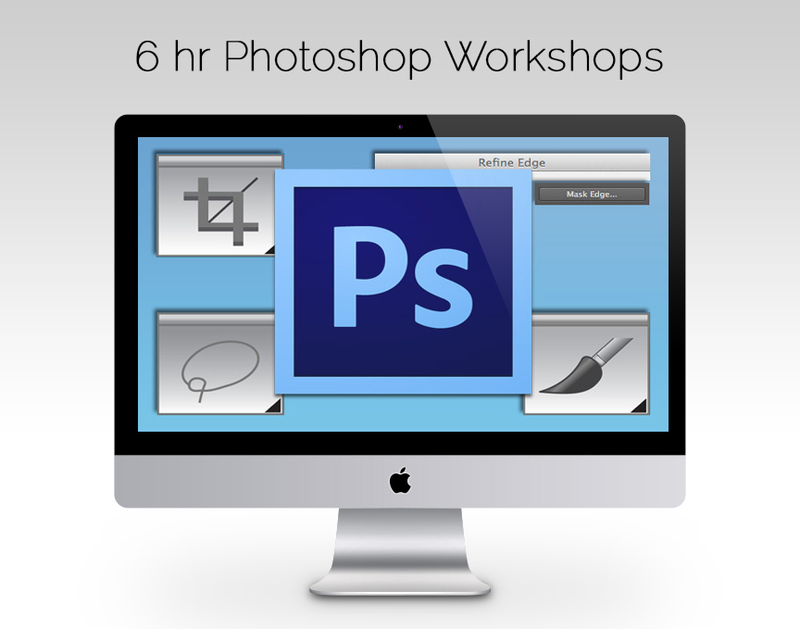 The perfect 6 hour workshop to introduce you to the fundamentals of Photoshop. By the time you start the Photography Workshop, you will be up to speed and will gain maximum benefit from the Post Processing techniques. Overview of how PS works, the workspace layout, saving and resizing a file. The principle of layers and adjustment layers. Understanding how to use the brush tool to make selective changes. Demonstration through theory and examples. Selection - making selections to create masks. We will learn how to use the wand and the quick selection tool. This intermediate workshop builds upon the basic skills, and takes your post processing to a higher level. This workshop is the one to take if you want to transform your images from Good to Great! Creating Paths for exact selections. Mastering the use of the Gradient Tool and Gradient Adjustment Layer. How to incorporate Nik Software as a layer and create a mask. Additional Photoshop Workshop dates are posted periodically. Fill out form below to keep posted on future dates. Want to get notification of future Photoshop Workshops? No problem! Fill out the form below and you will be the first to know. Please note that because the building is new it might not appear on some cars GPS’s, however it is updated on Google Maps. By Car: Street parking can be challenging. There is a parking lot on the corner of Sexsmith and Capstan (one block away). By Skytrain: take the Canada Line (either to YVR or Brighouse)and get off at Bridgeport Station and just walk along the same side of the street as the skytrain station (west) on Great Canadian Way which turns into Garden City Rd. Once you cross Sea island Way, there is a pedestrian path on your right (West) leading you into the building complex. The walk should take 7-10 minutes. Any cancellation 3 days in advance to the workshop will not be refunded. If due to any circumstances you have paid and were not able to attend, you will be placed on a ‘stand by’ list in case there are any available spots in future workshops.